Ordinary gamers can test-drive upcoming Wii U games from a more-conveniently located participating retailer. Of all the videogaming expos, E3 is considered to be the largest and most important for the industry. Developers and publishers from around the world flock annually to Los Angeles for the three-day event, bringing their biggest gaming announcements and demos along with them. If you're an ordinary gamer however, you'll only hear about these demos second-hand, since the convention is closed off to the general public. That's a practice Nintendo hopes to change this year by making its E3 content available to outside visitors. 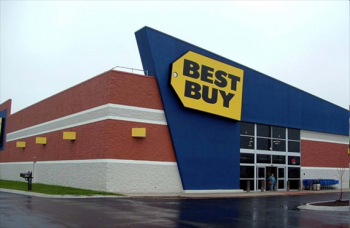 The gaming publisher has partnered with Best Buy to bring over 100 E3 stations to outlets across North America, allowing everyday gamers to play its anticipated Wii U titles. Anyone interested in playing Nintendo's upcoming games should visit a participating Best Buy on Wednesday June 12th from 4pm-8pm, or on Saturday June 15th from 1pm-5pm. The demos will be available in 89 American outlets and another 21 in Canada, while "Luigi loot" and Wii U bonuses will be awarded to attendees. Unfortunately, no one knows exactly what games will be featured until Nintendo unveils them on June 11th, the first day of E3. For some reason though, I suspect we'll see a Zelda game, a Mario sequel, and maybe Kirby, Donkey Kong, or Metroid. Just a hunch.